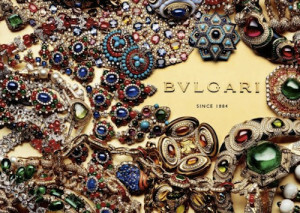 Guests will be accompanied to the Bulgari workshops, located 20 minutes from Rome city center, where they will be welcomed by one of the designers and assist to the creative process. They will have the chance to interact with the artisans and witness the jewelry making. From the workshops, guests will be welcomed into the historic boutique on Via Condotti and accompanied inside the Domus Bulgari the new private space designed by Peter Marino. Here, guests will be welcomed by the responsible of the designers, for an introduction of the history of the brand, see unique rare pieces from their collection and assist to the designing process. This Luxury Experience can also be enriched by a private visit to one of the most sumptuous private palaces of Rome, where guests will admire the works of art that inspired the best creations of Bulgari. Departure time is a client discretion, but please note that it will not be possible to visit the workshop after 3.30 pm. Private chauffeured vehicles and champagne will be provided for guests to and from this incredible fashion experience.